What do you think selective incorporation means? Use selective incorporation in a sentence. 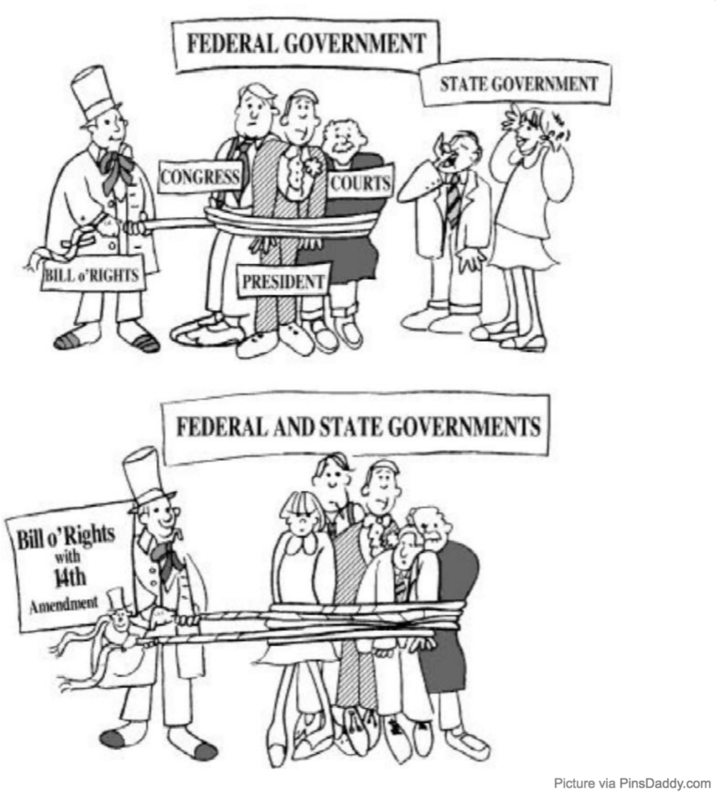 Selective incorporation: While the Bill of Rights expressly protects citizens’ rights and liberties against infringements by the federal government, it does not explicitly mention infringement or regulation of rights by state governments. Over a succession of rulings, the Supreme Court has established the doctrine of selective incorporation to limit state regulation of civil rights and liberties, holding that many protections of the Bill of Rights apply to every level of government, not just the federal. Because the 14th Amendment (1868) guarantees all Americans equal protection under the law, the court ruled that the same rights which the federal government cannot deny us (religion, speech, assembly, etc.) also cannot be denied us by the states. Selective Incorporation Video from Khan Academy. What is the relationship between the 14th Amendment, the Bill of Rights, and Selective Incorporation? Explain how selective incorporation limits or increases the power of state governments. If we repealed the 14th Amendment, would we still have selective incorporation? Timbs v. Indiana incorporated the Excessive Fines Clause of the VIII Amendment on February 20, 2019. Are there other sections of the Bill of Rights yet to be incorporated? Now draw Selective Incorporation! Take 10 or 20 seconds. That’s all you need. Nothing fancy. Don’t expect a masterpiece. Draw with symbols or stick figures if you wish. Now Look at your drawing. You’ve got it. That’s all. Here’s our entire lesson on Selective Incorporation!